The 32-year-old pop star has been announced as one of the headliners for the charity's 17th annual series of concerts held at London's Royal Albert Hall next March and April. Olly has sold 10 million records and has notched up four number one singles in the UK - he recently made his fourth UK number one album with '24 HRS' which knocked Robbie Williams from the top spot. The Who's Roger Daltrey, CBE and honorary Patron of the Teenage Cancer Trust, is very excited that Olly has agreed to play. He said: "The Teenage Cancer Trust concerts at the Royal Albert Hall are now fully fledged teenagers as next year marks our 17th anniversary. Yet again we have a really varied line up starting with Olly Murs who is fresh from his fourth number one album and will be embarking on an arena tour before he reaches us." The other headliners confirmed for next year are The Who, who will perform their seminal rock opera 'Tommy' on two nights, Paul Weller, the Pet Shop Boys with Johnny Marr and the Royal Philharmonic Concert Orchestra and an evening of comedy hosted by Romesh Ranganathan. Neil Tennant and Chris Lowe, of the Pet Shop Boys, said: "This will be a very special night for us, performing with Johnny Marr and the Royal Philharmonic. We have often combined electronics with orchestrations on our records and now we're going to do this in concert. Johnny has played on many of our albums and it will be a real thrill to have him on stage with us." Meanwhile, Weller added: "It's important to support the continuously incredible work that Teenage Cancer Trust does. 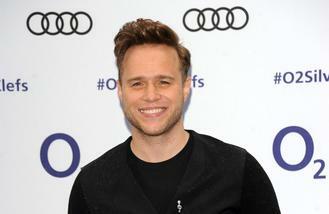 It's an honour to be able to perform for them and hopefully help raise money for teenagers when they need it the most." Since 2000, a staggering 225 bands and artists have performed, raising more than £24 million for the Teenage Cancer Trust, including Noel Gallagher, Sir Paul McCartney, The Cure and Ed Sheeran. The gigs play a vital role in helping the charity raise funds to provide 28 specialist cancer units and over 60 nursing and support staff in NHS hospitals across the UK and this year's shows are supported by headline sponsors Aldi and associate sponsors American Airlines. Tickets for the TCT shows go on sale at 9am on Friday (02.12.16) from at gigsandtours.com, ticketmaster.co.uk and royalalberthall.com.